(HARTFORD, CT) – Governor Dannel P. Malloy and state Office of Tourism Director Randy Fiveash have announced the launch of the first-ever Connecticut Antiques Trail, a curated online guide to the finest antiquing experiences across the state. 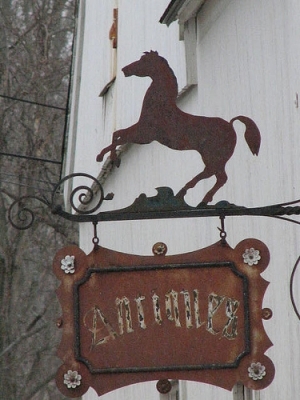 The Antiques Trail winds through historical and scenic Connecticut, representing all five regions – Fairfield, New Haven, Mystic, Hartford and Litchfield - and featuring collections of varying styles, periods and price ranges to satisfy all antique enthusiasts. "We launched the Connecticut Antiques Trail to create a more convenient way for residents and tourists alike to discover, explore and enjoy the very best destinations that the state's antiquing community has to offer," said Governor Malloy. "With the click of a button, we can connect people with everything from auction houses and historic inns to quaint boutiques located in every region of the state." The Antiques Trail can be found through the state's official tourism website at www.ctvisit.com/antiquestrail and is organized by region and against the following categories detailed below: Shops & Centers, Auction Houses and Experiences, Outdoor Antiques Events & Shows, Historic Inns, Outdoor Antiques Events & Shows to make trip planning seamless. Further, the state's website also features a variety of restaurants, attractions and destinations within each region to help plan the perfect Connecticut day-long antiquing adventure, weekday getaway or weekend escape. "The creation of the Antiques Trail reinforces the revolutionary approach that we are taking to ensure that our residents and visitors can easily discover and enjoy the unique experiences that can be found in every area of Connecticut," said Randy Fiveash, Director of Tourism. "Many of New England's earliest antique collectors were living in Hartford and the state continues to attract antique lovers from all over. With the launch of the Antiques Trail we hope to introduce even more residents and visitors to this treasured Connecticut pastime and streamline trip planning along the way." There are antiques shops, treasures and special finds waiting to be discovered all over Connecticut, ranging from large and sophisticated to smaller and quaint family-run businesses. With specialties in specific antiques fields, many renowned dealers and shop owners can offer their expertise and help guide a traveler's search. Find authentic auction houses anywhere; from Litchfield Hills to Fairfield County to River Valley and beyond. Many locations hold live auctions weekly, monthly, or bi-monthly and feature merchandise from fine antiques and art, to estate jewelry, paintings, silver, books, rugs, collectibles and much more. Across every region of the state, history enthusiasts are welcome to explore Connecticut's charming historic inns. Each destination displays their own distinctive heritage, captivating antique lovers with history, alluring scenery and incomparable collections. In spring, summer and fall, visitors are invited to shop in the open air at one of the state's many outdoor antiques events. There are plenty of opportunities to leisurely sift through hundreds of items and explore outdoor antiques shows and markets across the state. May through November: Explore the Elephant's Trunk Country Flea Market, in New Milford, to discover seasonal items and antiques and collectibles – such as antique toys, old bottles, garden ornaments, dried flowers and weather vanes – all mixed in with some new merchandise too. October 26: The Fall Antiques Market, in Wilton, features more than 100 exhibitors with antiques, folk art, furniture, prints, nautical antiques and other treasures. August 23: Cap off the summer with the Madison Historical Society Antiques Fair, in Madison, with offerings from 75 antiques exhibitors, who will display 18th and 19th century American and European furniture, wicker, country collectibles, maps, Audubon bird prints, nautical antiques, shell art, and much more. September 20 - 21: Experience farming as it was in the past at the Antique Engine & Tractor Show, in Haddam. Take a hayride and see antique tractors, engines, hay machinery and farm equipment. July 26 - 27: View some of the most outstanding antique vessels from around the country during Mystic Seaport's Antique & Classic Boat Rendezvous. The annual event showcases restored antique boats, cruisers, sailboats, runabouts, and launches – all built before 1970 –and ends with a three-mile parade down the Mystic River. March through November: On the eastern side of the state in Mansfield is the Mansfield Drive-In Theatre & Marketplace, one of Connecticut's largest indoor and outdoor (held rain or shine) flea markets. This runs from late-March through November on Sundays only. To learn more about Connecticut's revolutionary attractions and destinations, join the Connecticut social community via Facebook, Twitter, Pinterest and youtube. In 2012, Connecticut's Office of Tourism (COT), a division of the Department of Economic and Community Development, launched a new state brand identity, still revolutionary, a strategic marketing initiative designed to build pride among residents and bolster the state's reputation as a business and tourism destination. Connecticut is home to fine dining and entertainment, serene beaches and hiking trails, historic treasures and world class museums. To obtain more information about Connecticut tourism or plan your next trip, visit www.ctvisit.com or call 1-888-ctvisit.